Gurgaon: In an endeavour to create awareness about women empowerment, Lancers International School celebrated International Women’s Day here today. The main highlight of the event was presentations given by students from Class VIII to XI standard on prominent women who have made an indelible contribution to society. The event commemorated the achievements of the likes of Rani Laxmibai, Rosa Parks, Susan B Anthony and Malala Yousufzai. “The objective of organizing the event was to make students aware of the contribution of women to the society. 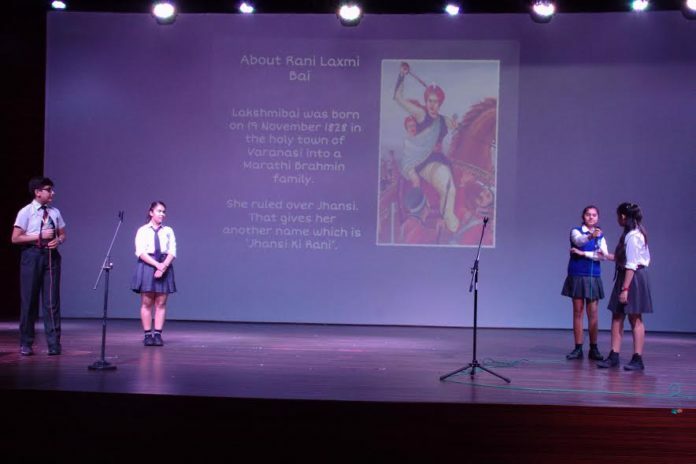 These women have played a pivotal role in challenging societal stereotypes and carving a niche of their own by their invaluable contribution,” said Mr. Rohit Mann, Director, Lancers International School. The students of VIII standard narrated how Rani Laxmibai had played a prominent role in spearheading the Revolt of 1857 in Jhansi while the students of IX standard recounted the contribution of American civil rights activist Rosa Parks who is regarded as the ‘mother of the freedom movement.’ The presentation by students of Class X standard highlighted the contribution of an American social reformer Susan B. Anthony who played a pivotal role in the women’s suffrage movement. The last presentation given by Class XI students recounted the struggles of Pakistani female activist Malala Yousafzai against the Taliban in her bid to eliminate female illiteracy. The event concluded with a vote of thanks. Held on March 8 every year, the International Women’s Day celebrates the social, economic, cultural and political achievement of women. The theme for this women’s day ‘Be Bold for Change’ called on the society to take groundbreaking action that truly drives the greatest change for women.